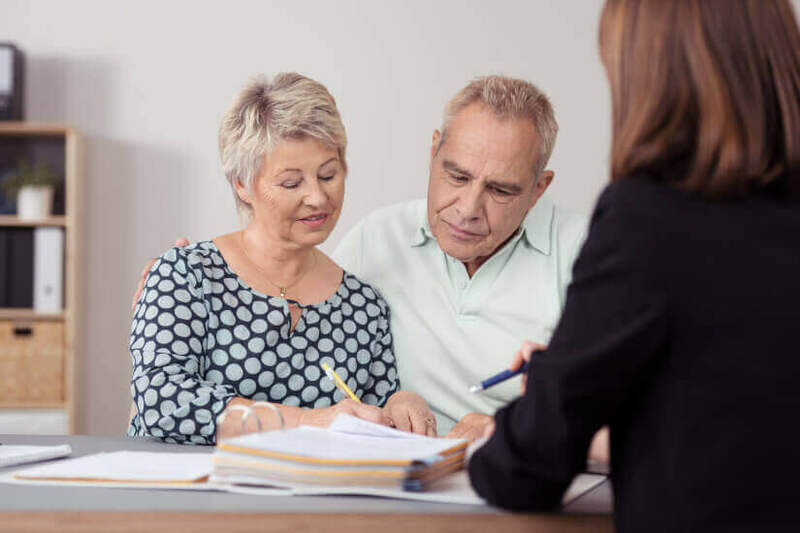 Some Australian retirees have enough money and assets in their superannuation funds to support a comfortable retirement, but others may require financial assistance to help supplement their income. There is no legislated retirement age in Australia, but older Australian who have reached age pension age may receive supplemental income from the government. Seniors who are at least 65 years old and have either stopped working or receive decreased income may apply for age pension from Centrelink if they satisfy the basic requirements. Eligible individuals must pass Centrelink’s strict qualifications in order to receive full or part age pension either on a fortnightly or weekly basis. Seniors or retirees must pass the age test before submitting a claim for age pension. Pensioners must be at least 65 years old, however, the age requirement goes up by 6 months for every 2-year period until July 1, 2023. The Department of Human Services (DHS) provides the table below to serve as a guide. The DHS will send information about your retirement income options nine weeks before you reach age pension age. If you are already receiving benefit payments from Centrelink, however, there is no need to wait for the letter. Individuals may lodge an intent to claim age pension 13 weeks before reaching age pension age in order to receive payments as soon as they satisfy the age test—granted they satisfy all other tests. The residency test does not require an individual to reside in Australia in order to claim age pension. However, applicants must have been an Australian resident for a certain length of time, depending on their circumstance. Individuals must have been an Australian resident for a minimum of 10 years, regardless if it is a continuous or intermittent residency. However, intermittent residents must have remained in Australia for five out of the 10 years without breaks—unless their occupation brought them to countries which have social security agreements with Australia. If you still don’t satisfy the residency test upon reaching age pension age, you may have to wait a little while longer to qualify. Centrelink implements strict rules for people who still receive assessable income from employment and/or other sources. Income thresholds vary depending on the individual’s status (single or married), circumstance (ill-health, disability, dependents, etc. ), and other income from superannuation and other sources of financial assistance. Single pensioners may earn up to $168 and couples up to $300 in a single fortnight without affecting the amount of Age Pension they receive. The limit per fortnightly income increases by $24.60 for singles with dependent children and $12.30 for couples who live together with both parties receiving pension. Employed pensioners may also earn more if they qualify for the $250 fortnightly Work Bonus because it can lower an individual’s assessable income to zero. Excess Work Bonus is added to the individual’s balance (up to $6,500 only) which can be used to offset any future income that would exceed the threshold. DHS has strict limitations on the value of assets an individual may own to qualify for Age Pension. As a rule, an individual’s principal home with up to 2 hectares of used land on the same title is exempt from the assets test. Assets that are up for assessment include granny flats, retirement village contributions, financial investments (superannuation, business, funeral and superannuation), real estate and assets that are given away, among others. Single homeowners have an asset value limit of $253,750 and non-homeowners $456,750 before DHS reduces the amount they will receive as full age pension. Couples, on the other hand, have a combined limit of $380,500 for homeowners and $583,500 for non-homeowners, regardless if both or only one partner is eligible or they are an illness-separated couple. Note that maximum thresholds for the assets test are adjusted in March, July and September of each year, so pension entitlements may also change accordingly. If all requirements are satisfied, you may contact Centrelink via phone, online or through a service centre to register an ‘intent to claim’ up to 14 days before submitting an age pension claim form. The applicants should provide Centrelink the necessary information listed below. There are 3 ways to apply for Age Pension: by phone, service centre or online. By phone: Those who wish to apply by phone may contact the Age Pension line at 132 300 from 8AM to 5PM, Mondays to Fridays. A Centrelink staff member would assist them in processing their claim. Service centre: A Centrelink staff would ask questions and assist age pension applicants with the processing of their claim. Applicants should also bring documents that would serve as proof of identity so that Centrelink staff can validate the claim. They may also ask for additional documents which the applicant must submit within 14 days of filing an intent or starting to claim. Payment of Age Pension may get delayed if the requested documents are submitted after the 14-day period. Those who have previously transacted with Centrelink should also provide their customer reference number, Applicants may also be requested to drop by a service centre with a photo ID to register for a Centrelink online account for future transactions. Phone and service centre transactions both require applicants to fill out, and submit the age pension and pension bonus claim form, as well as the Income and assets form. Forms can be submitted at the service centre or by post. Online: The easiest way to claim Age Pension is through an online transaction. All the applicant has to do is to link their Centrelink online account to their myGov account and process everything there and they will be able to track the progress of their application. Once the assessment is finished, Centrelink will inform applicants if their claim is accepted, how much they can expect to receive and when to expect the payments. An applicant can lodge an appeal if the assessment is unfavorable. This information has been sourced from the Australian Taxation Office and the Department of Human Services.